Have salt in yourselves. The gospel reading for Proper 21B/Ordinary 26B/Pentecost 18 (Mark 9:38-50) features this instruction from Jesus. He reminds his followers that salt is good but salt that has lost its saltiness is not much use. Have salt in yourselves, Jesus says, and be at peace with one another. Yes, we should. But sometimes it isn't as easy in the living as the hearing. A case in point is Vincent van Gogh. Few artists work is more easily recognizable than Vincent. His work routinely sells for tens of millions of dollars (in May 2015 his painting "L'Allee Des Alyscamps" sold for $66 million rather than the estimated $40 million, proving that the appetite for his work is still strong). The only thing perhaps as well-known as his work is his life. Failed art dealer, failed teacher, failed evangelist, and if one accounts by economic success during his lifetime, failed artist. Vincent struggled in personal relationships with family, friends and strangers. He thought of himself as a painter but the world tried to send him another message. His work was not appreciated widely...or really at all. 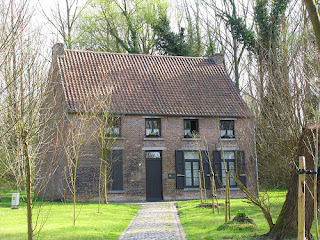 Now called Maison Van Gogh, this house was where Vincent rented a room while living in Cuesmes. And the artist was (re)born. Vincent Van Gogh - child of the manse, aspiring preacher - put his own situation in the context of scripture, quoting Psalm 22 and Mark's gospel in letter 155. We owe Vincent's brother Theo for the financial and emotional support that made it possible for Vincent to buy paint and canvas on which to work. We owe Vincent's sister-in-law Johanna for the preservation of his work after his and Theo's deaths only six months apart. But our greatest debt is to Vincent for "having salt in himself" and pursuing the work God gave him to do. 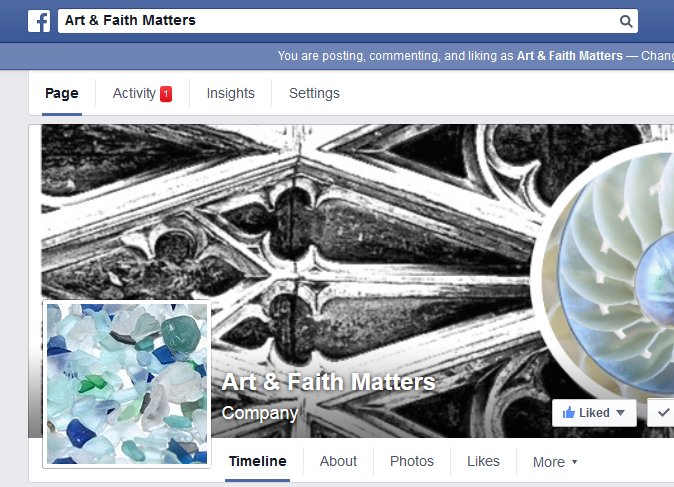 For contemporary art based on salt, see Art&Faith Matters' Facebook page here. For thoughts on Esther 7:1-6, 9-10; 9:20-22 click on this link.